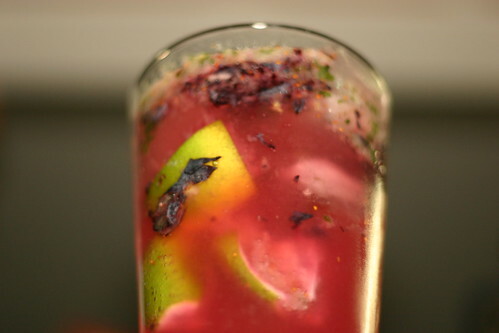 Opted for a blueberry mojito. It was a solid choice. From the “What a Guy Wants” chapter of Cosmo’s Official Cocktail Book comes a delicious variation on the classic float, the Stout Float. 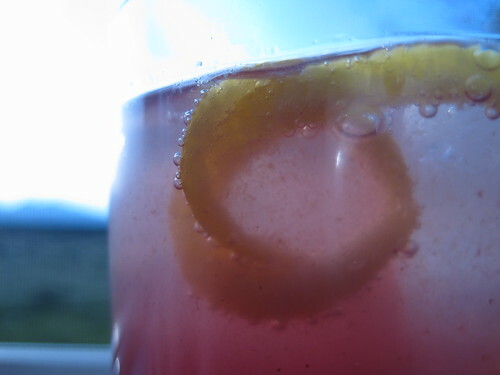 This drink is dead simple to make and very tasty. Scoop ice cream, add stout, drink, repeat. 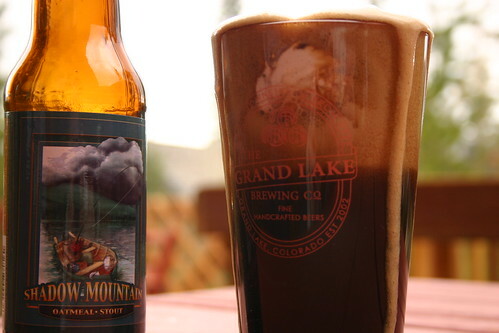 Since I was going to be sampling this drink in Grand Lake, CO it only seemed appropriate that I should pick up Grand Lake Brewing Company’s Shadow Mountain Oatmeal Stout. Shadow Mountain Oatmeal Stout has a deep brown color with a sweet, almost coffee-like aroma. The flavor has a sweetness that reminds me of very deeply caramelized sugars, think of the pie filling that ran off the edge while baking. You get a small hit of the hoppy bitterness coming through with notes of coffee and chocolate. I really enjoyed this stout and would drink it all on it’s own, which is saying something coming from a guy who doesn’t drink much beer. The coffee and chocolate notes from the stout combine really well with the vanilla ice cream. I actually prefer this to a root beer float as it isn’t as sweet and the flavors are more complex. 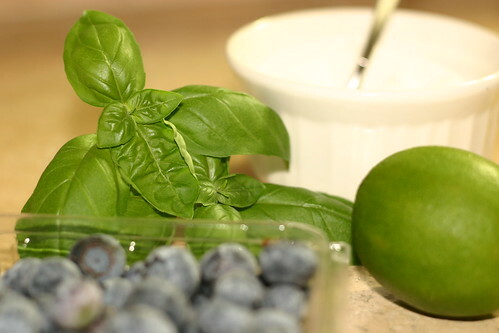 I’ll definitely be making this recipe again to cool off on the hot summer days ahead. While we used Shadow Mountain Oatmeal Stout with great results you could really use any stout you like. A porter would also work well in this application, which only serves to broaden your horizons even further. With all the options out there you could make some really awesome combos. Where the ice cream is concerned the sky is the limit. Think of a caramel ice cream with a nice chocolately stout…mmmm. Or, Cosmo suggests a strawberry ice cream with a blueberry beer. Sounds damn tasty to me.